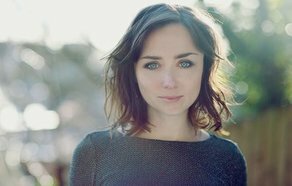 A graduate of the prestigious London Academy of Music and Dramatic Art, Emily Taaffe has worked extensively in British theatre with leading roles on the Olivier and Lyttleton stages at the National Theatre and with the Royal Shakespeare Company. On screen Taaffe has enjoyed roles in several noteworthy British television series including ‘Stan Lee’s Lucky Man’, ‘Call the Midwife’ and ‘Atlantis’. Closer to home, Taffe starred in the BBC Northern Ireland drama series ‘Paula’ and more recently played the role of Roberta McKenna in ‘The Dig’, which picked up the Best Irish Feature award at the 2018 Galway Film Fleadh. IFTN journalist Nathan Griffin caught up with Taaffe ahead of the festive season.